As an experiment, I started a Jerusalem Artichoke. I’ve read that they can be “invasive” so I planted one tuber (about the size of my fist) in this blue plastic container. I want to evaluate the merit of having this flowering plant in the large area adjacent to the parking lot. It would be inconsiderate (of me) to plant in a community garden area and have it “take over.” I found the article, from Mother Earth News, to be very informative. 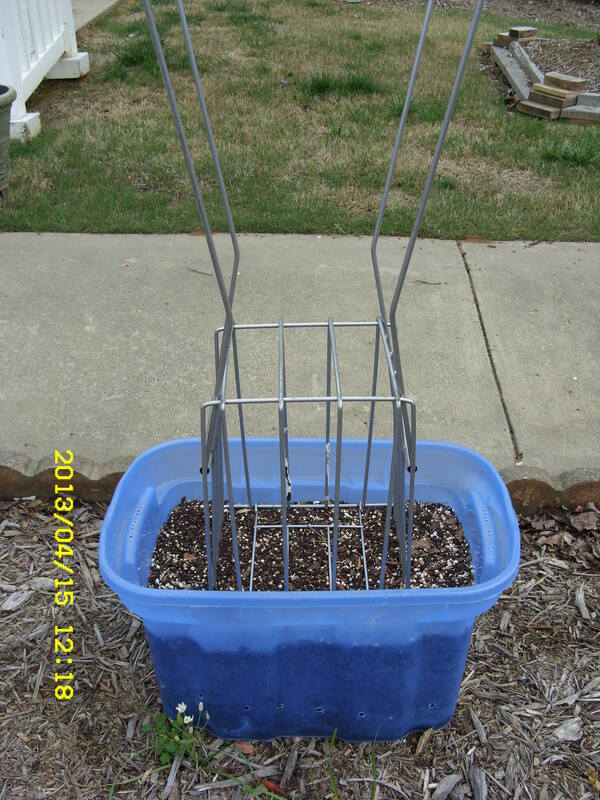 ~~ I purchased the metal “container” (for want of a better description) from Goodwill and thought it a satisfactory support for tender shoots (that require support). Later, if needed, I’ll provide a taller trellis.